Gopalpur (Berhampur) odia:ଗୋପାଳପୁର) is a town and a Notified Area Council on the Bay of Bengal coast in Ganjam district in the southern part of Odisha, India. 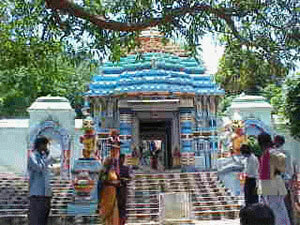 Once a commercial port, it is now a famous sea beach and tourist destination around 15 km from Berhampur. The reconstruction of the port is under development. 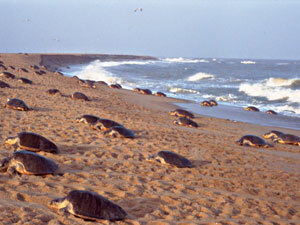 Gopalpur also has an ancient, commercial port, now lying in ruins. From an obscure little fishing village, Gopalpur became a prominent trading port during the days of British East India Company. The East India Company built large warehouses and godowns because the trade with Burma had picked up and it had become a trading point for rice from Rangoon. The British and the wealthy Bengalis, who once made Gopalpur a vibrant, happening place, have left. 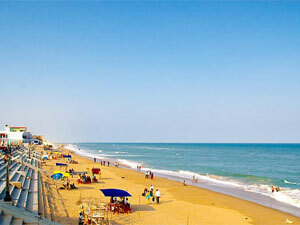 Gopalpur has reverted to being a quiet, relaxed place but with one major difference — it is one of India's most sought after beaches, with a distinct charm of its own. Barely 16 km away from Brahmapur, the commercial hub of southern Odisha and close to the border of Andhra Pradesh, is the tiny town of Gopalpur on the Bay of Bengal. This languorous beach with coconut groves, casuarinas and gentle sand dunes is deserted for miles.